Non SL ramble ahoy, turn back while ye can.. ye been warned. Sorry, still stuck talking like a pirate. My husband brought home Warhammer Online the other night. 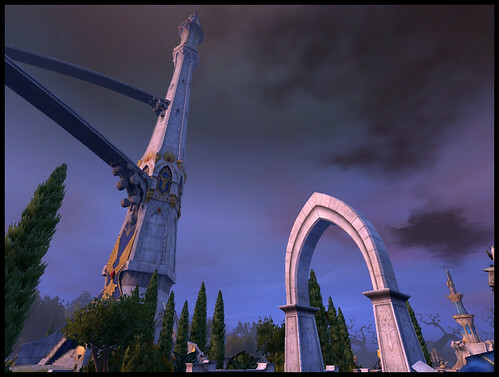 I wasn’t too keen on the idea of starting another MMO, especially this close to Wrath of the Lich King coming out (already pre-ordered my CE!) so I was hesitant to try it. So far, it’s not a WoW killer for me. 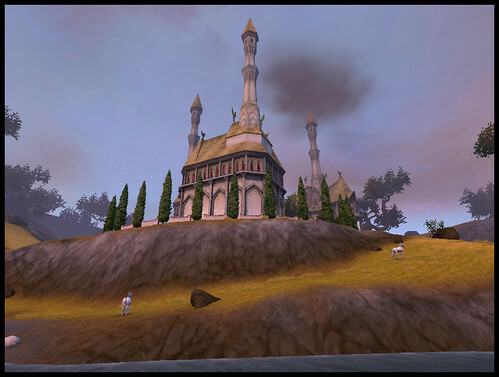 I’ve only explored one zone, Blighted Isle, and I love what I’ve seen, it’s gorgeous…. but laggy. The combat isn’t half bad. The queue times make me want to kick babies. And the characters aren’t much to look at visually. They are badly rendered imo and the hair just, gah, so ugly. Call me shallow, but goodness, these are some unfortunate looking folk. Let’s not even mention the fact that an entire race, the Greenskins, have no female option available. WTF. I like to play a girl since I am a girl. Call me crazy but I’m not thrilled with an entire race, not to mention classes, aren’t available to me because I’m a dork and I don’t want to play a boy.. or whatever it is that goblins are. So yeah.. meh. I did really enjoy the public quests though, I’d love to see more of that. Overall, I’m not sure I’ll keep playing it for the long haul.. right now it feels like a game that wasn’t completely finished… but it’ll be great for when all the WoW servers are down when WoTLK comes out. :P If you play, let me know which server you are on and I’ll come say hi! Here’s a few screenies I took of the game. This entry was posted in Pictures, Random and tagged Warhammer. Bookmark the permalink. I’ve really enjoyed the Witch Hunter as well.. the realm I made my Destruction toons on has the most insane queue times so I usually end up finding a low pop realm and testing out new classes lol. I absolutely love that you can queue up for RvR scenarios anytime, anywhere.. that’s such a nice bonus. Absolutely! That is a great ability, to go pick up the quest and be able to queue for it anywhere. 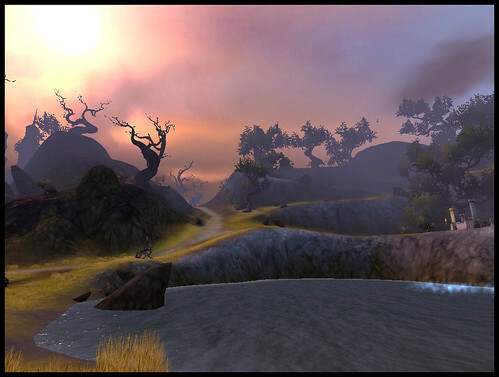 I also love the feel of the open areas – like Sea of Claws – where it truly feels like war. I’m having a lot of fun with it, and it’s just a matter of convincing the boyfriend to play it as our “casual” game and keep WoW as the “serious” game.